At Karman, we have over 100 models, types, variations of wheelchairs to choose from. 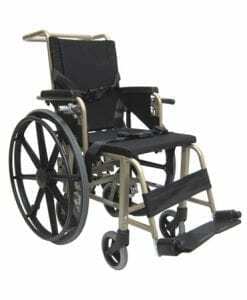 We have more selections of Manual Wheelchair, including Transport Wheelchairs, Standard Wheelchairs, Lightweight Wheelchairs, Ultra Lightweight Wheelchairs, Ergonomic Wheelchairs and more. Selecting a category, model, color or even price point is important for the end user to fully appreciate “state of the art” mobility products. Don’t forget to check out our patented S-ERGO S-Shape Seating System. We are committed to finding you a perfect chair for your your lifetime usage in comfort, mobility and competitive options. We at Karman are here and dedicated to your every needs. We even offer Standing Wheelchairs rounding off our product mix to the highest level of offerings in the Mobility Wheelchair category. Thank you for visiting us. All ultra lightweight wheelchairs come with companion handles standard. Most are available as 16″ or 18″ seat width. Most chairs have desk-length armrest pads. Some wheelchair models have have flip-back armrests with makes transports much easier especially in a trunk of a car or any other storage location. Swing-away detachable legrest also provide further mobility options and ease of use. Bariatric wheelchairs or heavy duty models.